Abbey Games (Reus, Renowned Explorers) have just announced Godhood, a new simulation game that has you create a religion and it should come to Linux. Create your own religion - You define what is important to your followers. Select virtues and vices. Guide their lives and the rituals they must perform to honor you. A few will rise to become powerful disciples who can help train future generations. Nurture and guide your followers - You do not control your disciples, merely guide them. But deciding what rituals they enact, which monument they build and managing their abilities and powers will all be key to a prosperous tribe. Ritual combat - Other deities and religions vie for power and influence. Face rival gods and their followers in ritual combat known as ‘Sacraments’. Your disciples will need to prove their faith through the use of awe, persuasion or brute force. Colourful art style - Charming visuals with a crisp hand-drawn style depict the new and unknown world of Godhood, seen through a lush, isometric perspective. 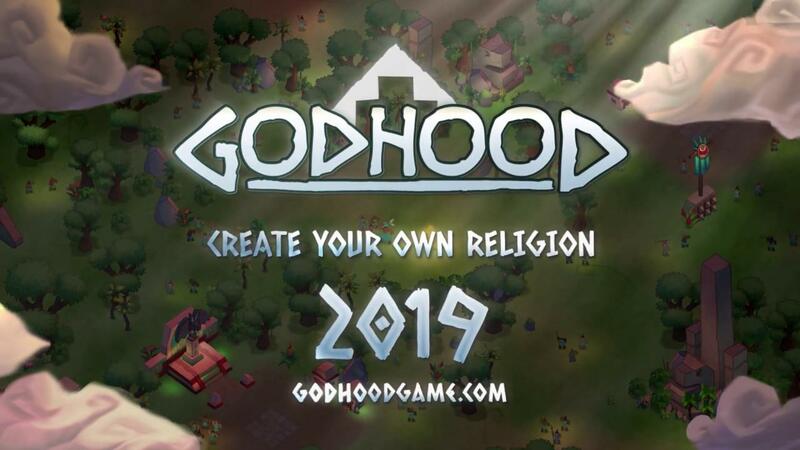 Replayability - Powered by a deep simulation system, Godhood allows you to experiment with dozens of different combinations of religious dogmas. Unlock new secrets as you progress along a main storyline filled with battles, rituals and challenging quests. So far, that's all the information we have as they've only just teased it. Will keep track of it and post up any additional news as and when we get it. It's not going to release until next year, so plenty of time to find out more. We're still working out how to release it exactly in 2019, but that's definitely the plan. Full info on the official site. I don't know about Black & White. I mean, no giant creature? It sounds more like Populous to me. Thou shalt have no other operating systems before Linux. Thou shalt not use Microsoft or Adobe software. Honour free and open-source software. Is it possible to create a Church of Tux in this game? Renowned Explorers is a great game, so I'm in. I'm not usually into this kind of game but I love the concept. ageres Thou shalt have no other operating systems before Linux. I like Reus, so I will also try this one. Wonder how it will play though. Reus was nice , but seemed to try to be a lot more than it was. At 0:31 it says "spread sacrifice"
Or do you mean more direct control over followers ?